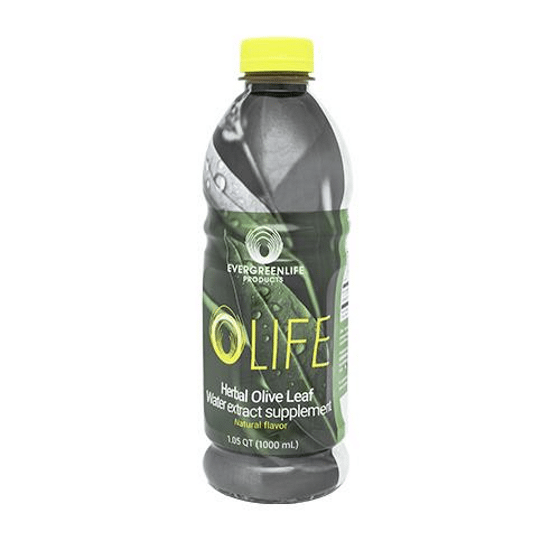 OLIFE 1000 ml contains 93% of (OLIVUM®), our exclusive olive tree leaves' water infusion rich in Oleuropein, Elenolic Acid, Rutin, Tyrosol and the efficient antioxidant Hydroxytirosol. It has been scientifically recognized that these molecules have the following effects: antioxidant, antiradical, regulate arterial pressure, improve blood circulation, energizing, hypoglycaemic, lower cholesterol, metabolize lipids and carbohydrates.Olife contains Calendula Officinalis which fights menstrual cycle cramps and it improves the functionality of the digestive system. We suggest to drink half glass per day (70 ml) of infusion, pure or diluted in mineral water; prolonged treatment is recommended as it represents a valid and healthy habit. Store in the refrigerator after opening and use within 15 days.